While many automotive classes today are filled with vehicle options that consumers must sort through, the full-size truck market is unique. With only a few contenders to choose from, it makes sense that you may have already narrowed down your choices to the 2019 RAM 1500 vs 2018 Ford F-150. As popular truck models that both have a long-standing tradition of excellence on the road, you may assume that they have many similarities. However, once you compare them more closely, you will notice that they have standout differences that must be considered before you finalize your plans to purchase a new truck. Getting behind the wheel of a new RAM soon will help you to make a solid comparison, and Melloy RAM serving Albuquerque Santa Fe New Mexico is your local source for a first-hand experience with each of the RAM trim levels for 2019. If you are asking why RAM or why Ford, your attention should initially turn to the exterior design and features. 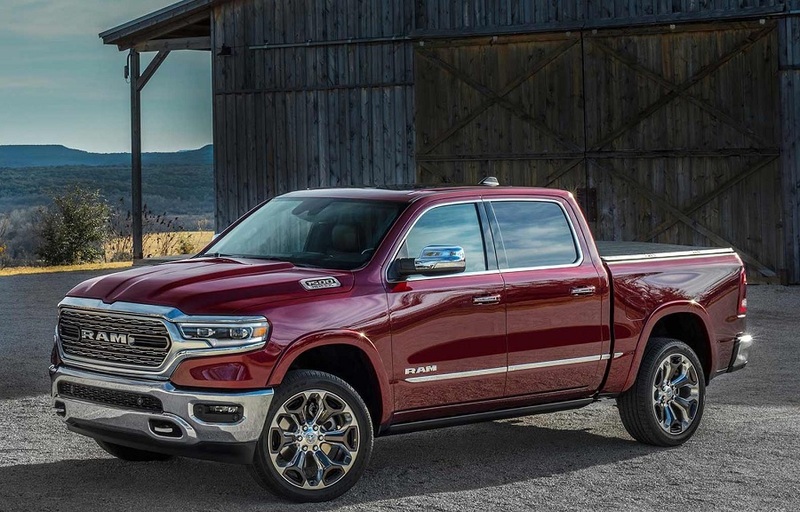 The 2019 RAM 1500 is the first model year for the 1500's fifth generation, so you can rightfully assume that it has been revamped from bumper to bumper. The rear of the truck features a durable aluminum tailgate with a stylish spoiler integrated into it. On the front end, the 1500 has a redesigned grille with an active shutter, revised LED headlights and a sculpted hood that creates a powerful appearance. There are seven trim levels available for the 2018 Ford F-150, and the exterior appearance of this truck varies dramatically based on its trim. For example, the grille of the F-150 XL, which is the base option, has a black design with two thick horizontal bars. The Limited is the highest trim level, and it has a chrome honeycomb design along with several thin chrome bars running through it. Other variations across the trim levels include the side mirrors, the molding, the wheel wells and the front bumper design. To check out the RAM designs and to compare them against the Ford designs, make plans to visit Melloy RAM serving Albuquerque Santa Fe New Mexico soon. If you are wondering why RAM over Ford, a look at interior features and style is in order. Because the 2019 RAM 1500 introduces a new generation to consumers, it understandably has a fresh, modern look that drivers may love. In addition to delivering a gorgeous style to consumers, it also has exceptional features across most trim levels. 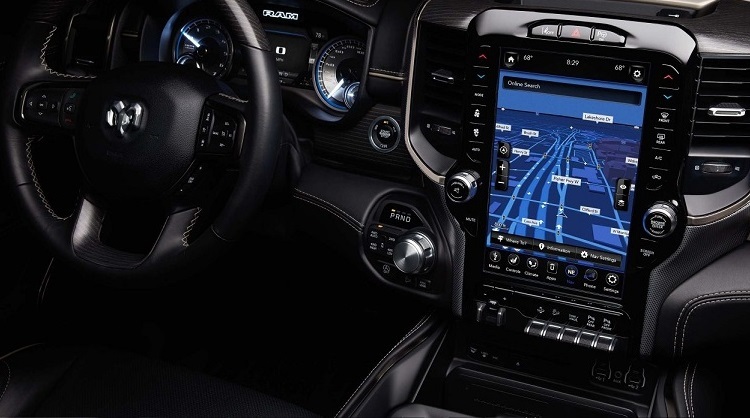 These include active noise cancellation, a tablet-sized touchscreen, power windows and door locks, a panoramic sunroof, a navigation system, reclining rear seats, USB charging ports, hidden storage areas, Uconnect, a Harman Kardon sound system, SiriusXM radio and a few additional features. Just as the trims for the RAM 1500 offer different features, the same holds true for the 2018 Ford F-150. At the base trim level, the Ford F-150 comes with a split-folding rear bench seat, single-zone climate control, a 2.3-inch productivity screen, cruise control, manual door locks, front and rear power outlets, a day-night rearview mirror and more. When you compare the 2019 RAM 1500 vs 2018 Ford F-150, spend time learning more about the standard and optional features and package upgrades available across all trim levels. Your comparison of the 2019 RAM 1500 vs 2018 Ford F-150 would not be complete without learning more about the powertrains available for these two trucks. Multiple powertrains are available for each of the trims that you can choose from for both of the models. This gives you plenty of options to give your truck the performance capabilities that you need. The main powertrain option for most of the RAM 1500 trims this year is a Pentastar V6, 3.6-liter engine. It generates 305 horsepower and 295 foot-pounds of torque with an 8-speed auto transmission. A more advanced powertrain option is a HEMI 5.8-liter, V8 engine that puts off 395 horsepower and 410 foot-pounds of torque. This comes with the same transmission. The 2018 Ford F-150 is available with six powertrains. The lower end includes a 3.3-liter, Ti-VCT V6 and a 2.7-liter EcoBoost. The higher end includes a 5.0-liter, Ti-VCT V8 and a 3.0-liter Power Stroke Diesel. Getting behind the wheel to experience performance capabilities for all options is a smart step to make. Before finalizing purchase plans, spend a few minutes comparing safety features for the 2019 RAM 1500 and the F-150. The RAM 1500 is equipped with smart cruise control, trailering detection, a tire pressure monitor, airbags, a rearview camera, lane departure with active mitigation, a blind spot monitor, rear cross-path detection and many other features. The F-150 is loaded with an anti-theft feature, curve control, anti-lock brakes, airbags, a rearview camera, a post-crash alert system and more. Now that you know more about the variations between these vehicles and have asked yourself why RAM versus Ford, the answer may be clear to you. 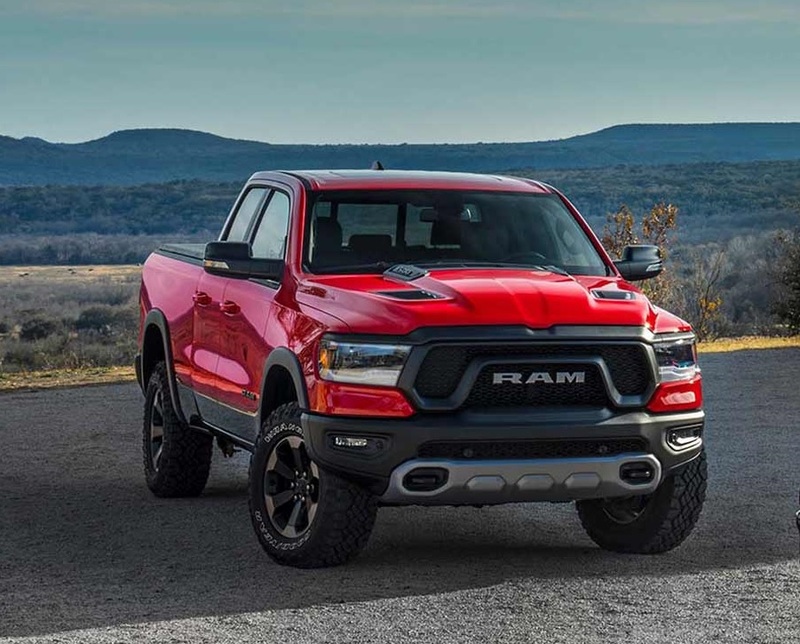 However, before you can make a firm decision, you need to check out the RAM 1500 in person and get to know more about each trim level available for the 2019 model year. The sales professionals at Melloy RAM serving Albuquerque Santa Fe New Mexico are eager to meet with you. By contacting us today, you can get your questions answered about each trim, and you can schedule time to drop in for a test drive.